It’s nearly time to dress up and go to strangers homes and ask them for candy! So, in this article, I will be giving my recommendations on spooky and cute Anime series that you can watch on Halloween if you are not in the mood for getting your pants scared off. These shows are not in any particular order, so let’s begin! 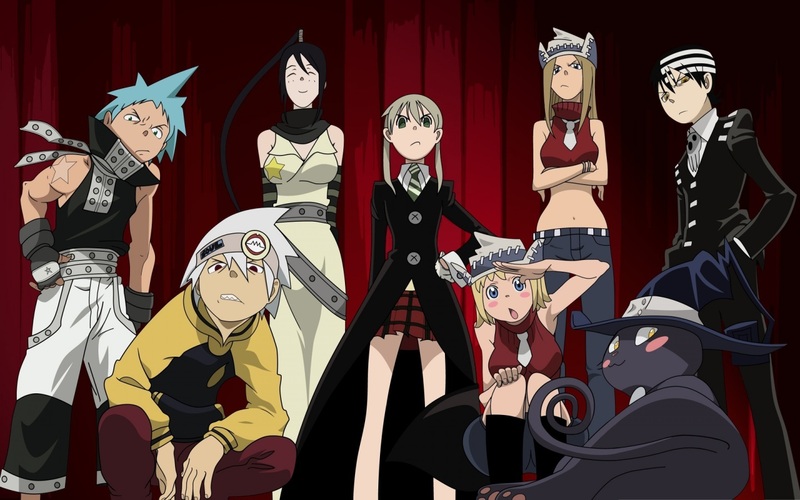 Soul Eater takes place in Death City, where the Death Weapon Meister Academy is located. The Death Weapon Meister Academy is a school for Weapons and Meisters. I will go into further detail don’t worry. The Headmaster of the academy is a shinigami known as Lord Death. To those who do not know what a Shinigami is, a shinigami is a Japanese equivalent to the grim reaper. In this show, there are two types of students that attend the academy, Meisters, and Demon Weapons. Demon Weapons are actually human hybrids that can take the form of weapons such as scyths, and guns. Yeah I know, it sounds goofy which it is, but there are some crazy, awesome scenes of them in action. Now, Meisters are the ones who wield the Demon Weapons which you probably already figured. Soul Eater is about Soul Evans a Demon Weapon with his Meister, Maka Albarn who is building up a collection of souls to become the death scythe by going on missions to absorb the souls of evil humans. The reason I highly recommend Soul Eater is due to the creepy Halloween aesthetic, and all of its unique characters. Also I i can’t forget about the intro, and all the songs. 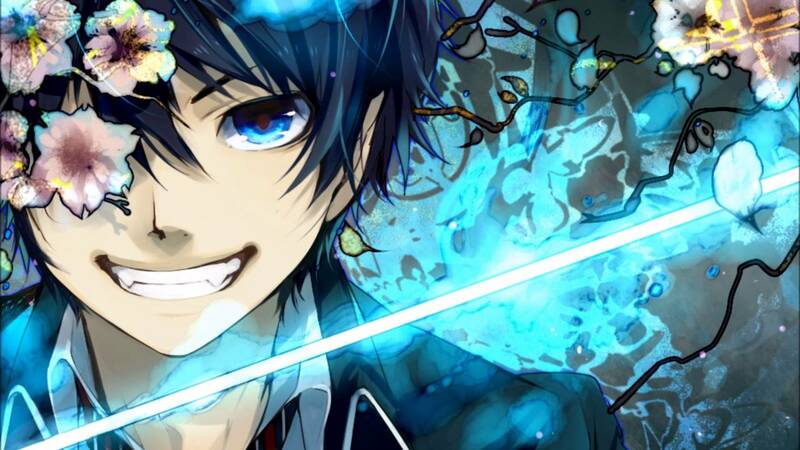 Blue Exorcist is another one of my favorites. This show revolves around Rin Okumura who is half demon and half mortal. At a young age Rin was adopted by an Exorcist known as Shiro Fujimoto and his son Yukio Okumura. Shiro being murdered by Rin’s biological father; Satan himself. Crazy right? Satan wants Rin to join him by his side, but Rin has better plans, which involve him and Yukio killing Satan. To give a little insight into the show, Rin goes to True Cross Academy which is solely for students wanting to become the best Exorcist they can be. At the academy like any new student would expect, Rin got picked on, but not just due to him being a new student, he was picked on and shunned by the students for the fact he was a half demon. If you like fight scenes there are plenty of them to enjoy. There are also many dramatic moments that tug on your heart strings to keep you invested. The reason I have recommended this show to watch on All Hallows Eve is, of course, the fight scenes against all the monsters, and demons that Rin and the other characters he befriends along the way fight. 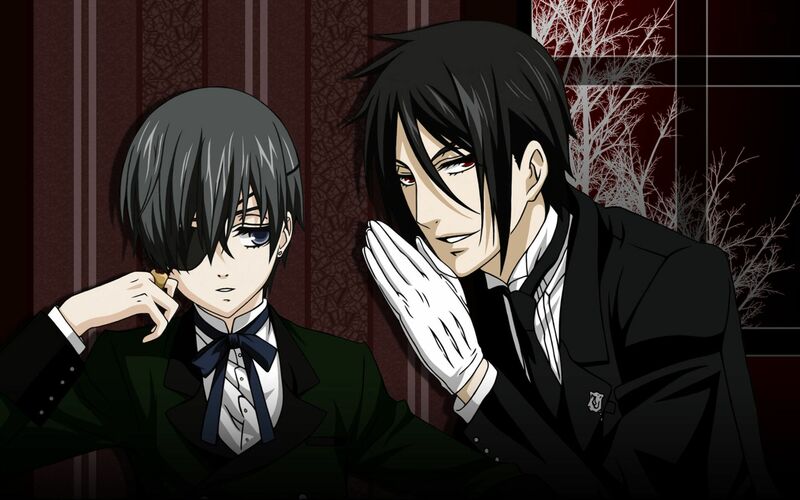 Black Butler is one of those animes that everyone, and I do mean everyone will binge watch. Black Butler is about a young boy by the name of Ciel Phantomhive who sells his soul to a demon in order to avenge his family’s death. Ciel is a very successful leader of his deceased parents toy manufacturing company. The demon I previously mentioned that he sold his soul to takes the form of a very loyal butler named Sebastian who will always serve and arrive whenever Ciel is in need. I’m going to be completely honest, I have not watched through the entire series, but I have seen the live action movie and five or six episodes of the anime. Black Butler has a very Gothic feel to it. I would have to say it fits more of a mystery or thriller like genre. I recommend this show to watch because the semi-grotesque scenes of corpses and murder that go on throughout the show, and of course can’t forget about the creepy characters. Little Witch Academy is nowhere near close to being spooky, but it’s super cute and full of witches; hence the title. Little Witch Academia takes place at the Luna Nova Magical Academy, a prestigious school for young girls training to become witches. Akko Kagari, being inspired by a witch named Shiny Charious, enrolls into the academy to become a witch, but struggles due to her non-magical background. My reasoning for recommending this one is that the show contains witches, of course, dragons, ghouls, and other mythical creatures. I would put this one under the genre of comedy because there are so many moments that will make you laugh out loud. Karin is our final show on this list which is based on the manga Chibi Vampire. Karin is super cute and will make your heart melt. Karin Maaka is the middle child in a family of vampires who traveled two centuries earlier to Japan. Unlike her family, Karin does not feed on blood, in fact, she produces it. She does have all the normal vampire traits, but she lives out her life as an ordinary teenage girl. I am completely and utterly obsessed with this anime as well as the manga. So let’s just jump into it! Karin has many funny scenes as well as serious and spooky ones. I would highly recommend this one because it is perfect to watch on Halloween. Now, Karin is a bit difficult to find, but do if you can, it’s well worth it. There are so many good characters that are very relatable, and you’ll be hard pressed to find another like it. So, there you have it, my top five recommendations to watch if you’d rather laugh than hide under the covers on Halloween! What are your favorite Anime to watch on Halloween? Be sure to comment below and let me know!